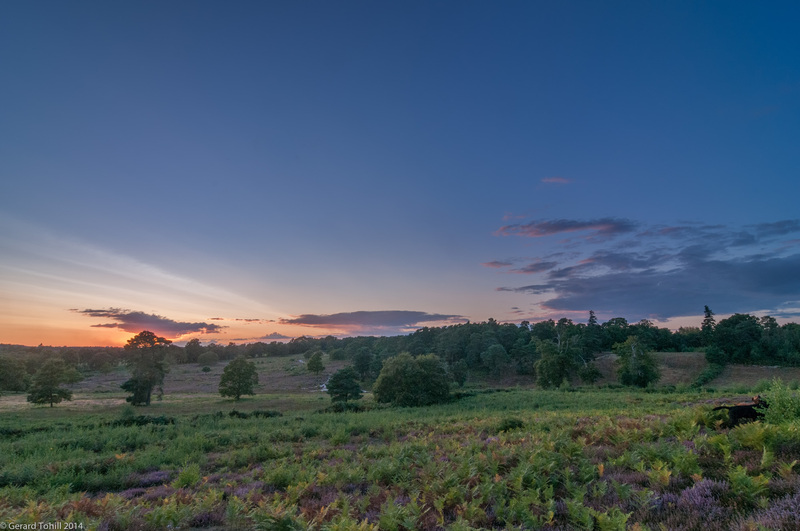 Lord’s Piece is popular with walkers, both human and canine, but early in the morning or late in the evening you can have the place to yourself. I’ve been fortunate enough to capture some very good light every time I’ve visited – long may it continue! Murphy is on the right of frame, doing his own thing. I wasn’t sure if I could capture everything in one image, so I bracketed one and two stops either side. It turned out that only one image was required, but there’s no harm taking precautions if the light is low and you’re not sure.